If you’re a lover of all things art, Richmond, Virginia is the perfect place to call home. It’s a city that values its connection to the art of the past, present, and future. No matter where you’re at in the city, you’re just a hop, skip, and a jump away from inspiration. For example, the Richmond Mural Project has brought over 100 murals to various neighborhoods in Richmond. The art project has brought world-renowned talent to the Commonwealth and turns high-traffic streets into art museums. 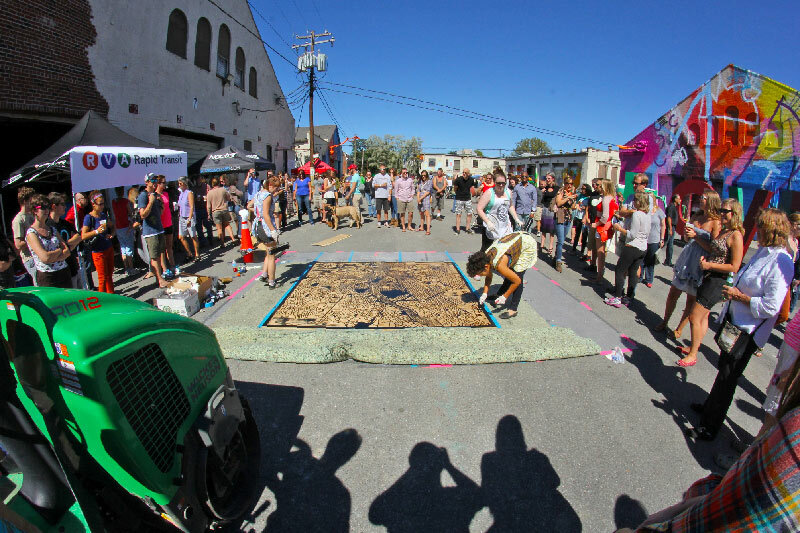 Read on to take a peek into some of Richmond’s deeply artistic neighborhoods. Lying at the edge of Virginia’s Museum District, Carytown showcases a large number of local shops, art galleries, and theaters. Many of the city’s shops, like the novelty toy store World of Mirth, lie in revamped historical buildings that have stood their ground for decades. The neighborhood is small, revolving around a mile-long stretch of Cary Street, but what the district lacks in square footage it makes up tenfold in character. 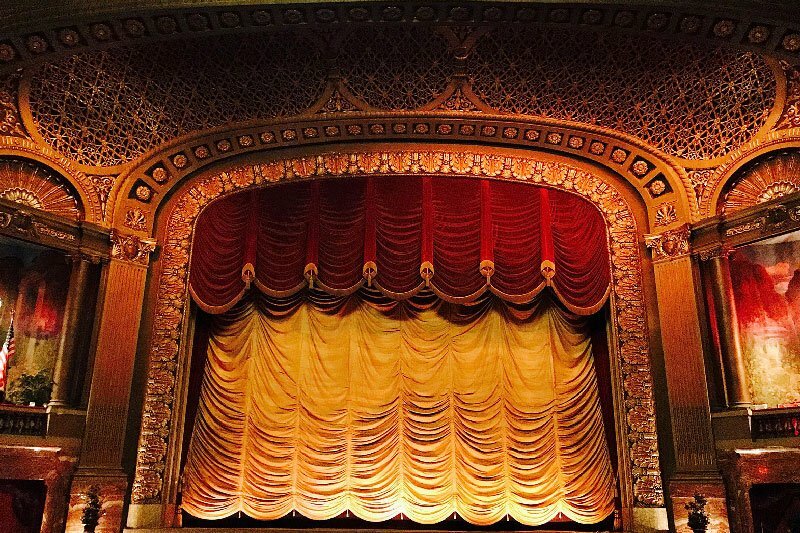 Opened back in 1928, this historic movie palace enhances the movie watching experience with its restored vintage display. Along with its weekly schedule of second-run films, the theater screens local documentaries and hosts festivals such as the French Film Festival and the Richmond International Film & Music Festival. Plan 9 Records has stood strong in Carytown for almost 40 years. While being a solid resource for CDs and vinyl from well-known artists, Plan 9 also has exclusive indie releases you’d be hard-pressed to find anywhere else. Artist Mehmet Sahin Altug opened up this art gallery and store back in 2015. The gallery offers a colorful look at the artist’s Mediterranean roots through his nature-inspired paintings and picturesque carpentry. The gallery also has handmade gifts by international artists from countries such as France, Nepal, and South Africa. Shockoe Bottom hosts a high concentration of local businesses including bars and clubs, giving rise to a blossoming nightlife scene. It’s home to annual festivals like ¿Qué Pasa? in May and the Richmond Folk Festival in October. The area lies along the James River with nature spots like Belle Isle and Browns Island juxtaposed against the more urban parts of the neighborhood. At Shockoe Artspace, Gallery exhibitions feature a rotating slate of student, professional, and emerging artists. This gallery is nonprofit and community-grown, providing a platform for artists near and far to showcase their work to a wide-ranging audience. Along with showcasing diverse art, the gallery also offers open critiques, artist talks, and forums. The writer’s namesake museum was established almost a century ago. The museum gives visitors a look into the mind of this famous figure of American literature in his adopted hometown, Richmond. The museum also holds a yearly birthday bash to celebrate the life and legacy of Poe. The attractions of the Canal Walk can easily take up a whole day, but be sure to make time to take in the riverfront area’s ubiquitous street art. During the inaugural RVA Street Art Festival, a dozen local street artists construct a large outdoor gallery of work at the Canal Walk. Each year the city celebrates the power of street art through their RVA Street Art Festival, which attracts artists from around the globe. From the city’s collegiate communities to long-term locals, there’s a non-stop energy moving through Downtown Richmond at all times. The neighborhood hosts the city’s monthly First Friday event, which transforms the district into an impromptu festival and showcases the plentiful amount of art galleries and shops along nearby Broad Street. As for eateries, some of the many highlights are the southern soul food spot Mama J’s and, a couple of streets over, Perly’s, which offers Jewish cuisine. 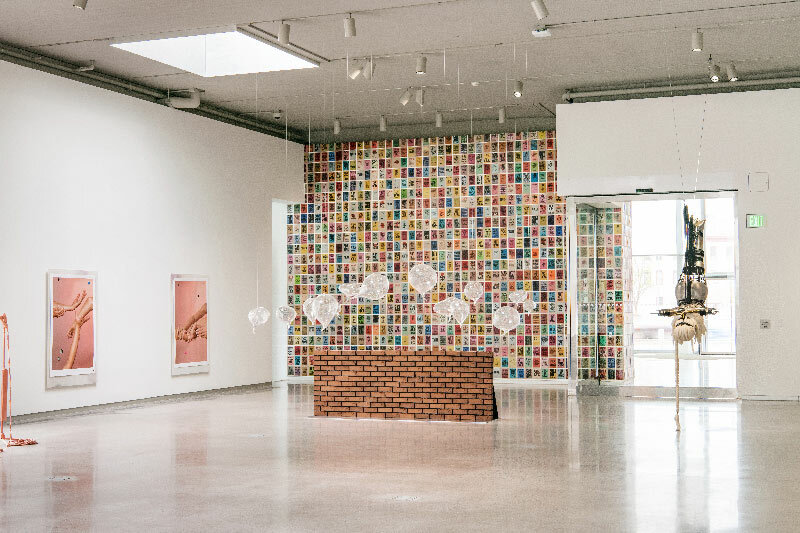 Opened in 2018, this gallery offers a look into contemporary art through the perspective of emerging artists. Connected to the nearby VCUArts, the gallery provides a first look at the brand new generation of artists curated at the nearby art school. This museum’s striking architecture is sure to catch your eye as you walk down the street. The city boasts a whopping five music venues in a two-mile radius. This venue in particular stands out by offering a truly intimate setting for audiences to enjoy. Music lovers get a chance to be up-close-and-personal with national and local artists spanning all genres without having to spend an arm and a leg on the price of admission. As you enter Richmond’s Museum District, you’re greeted by prominent figures of Virginia’s past such as tennis player Arthur Ashe and oceanographer Matthew Fontaine Maury. As the name suggests, this district is home to four large museums including the Virginia Museum of History and Culture and the Science Museum of Virginia. Along its streets are eye-catching, colorful townhomes built in the 18th and 19th centuries. From convenient neighborhood markets such as the Cleveland Market to coffee shops like Black Hand Coffee Co., everything is reachable from your own sidewalks. 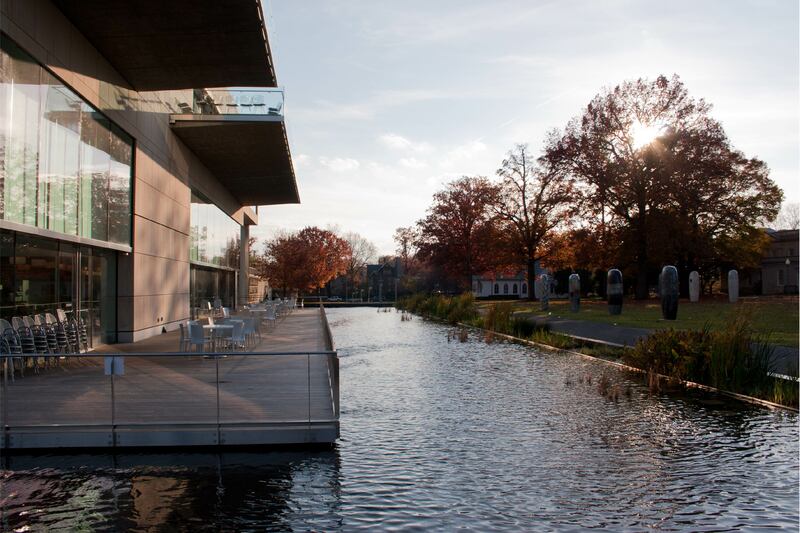 From contemporary pieces straight out of the early 2000s to Italian portraits from the 1600s, you can find it all at the VMFA. The VMFA also values educating nearby Richmonders about the power of art and offers programs for both children and adults. This appointment-only fine art gallery provides an intimate look at the works of over a dozen artists. The gallery includes art representing a variety of mediums including still life, abstract art, and sculptures. The gallery also showcases art from Haiti and donates the proceeds to Pazapa, a nonprofit whose mission is to support the treatment, education, and development of Haitian children with disabilities.